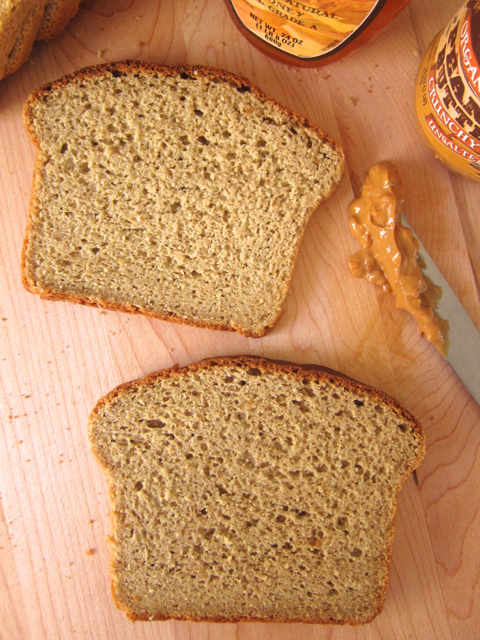 This recipe is a nutritious adaptation of America’s Kitchen’s gluten free bread. Thanks to their hard work, we no longer have to deal with gluten-free bread that crumbles apart when you try to spread peanut butter on it, or that is so gummy that you have to toast it to eat it. This recipe is great tasting, light and moist. What makes this recipe healthier is not only the removal of xanthan gum, which America’s Test Kitchen replaced with psyllium husks, but also the replacement of the tapioca and potato flours or starches that you find in most store bought gluten free breads. These ingredients can cause health issues. Xanthan gum is a very popular food additive and is found in most of the gluten free baked goods and many other products such as fat free salad dressings or pastry fillings. It is an industrial processed product, usually made by the fermenting of corn sugar with a bacteria xanthomonos campestris, but may be derived from wheat or soy as well as corn. Tapioca and potato starches and flours have little to no nutrition and are constipating. So if you still want to enjoy baked goods, and want to eat gluten free, you may need to make it yourself. If you haven’t worked with gluten free flours, it’s very different from wheat flour and less forgiving, even more so when you are working without xanthan gum and using only healthy flours. There’s a perfect balance that you have to find. A loaf of bread not coming out right is discouraging. Consistently hitting that perfect place between a gluten free bread that is gummy and one that crumbles apart can be controlled better if you weigh the flours on a scale like the professional bakers, rather than relying on measuring cups. If all the amounts are exact, and you have the oven ready and get the bread in the oven at the correct point in the rising, you will have a good loaf of bread every time. Flours have a different weight so they are not interchangeable. From what little testing I’ve done using the healthier flours, I can say that America’s Test Kitchen engineered a great full proof recipe. So far, no matter what combination of flours I tried, so long as I weighed them, the bread was light and not dry and the only problem was too much rising resulting in some larger holes and large gaps near the top of the bread. Every loaf was usable even if it wasn’t perfect so I would say don’t be afraid to make whatever changes you may need to for allergy reasons. 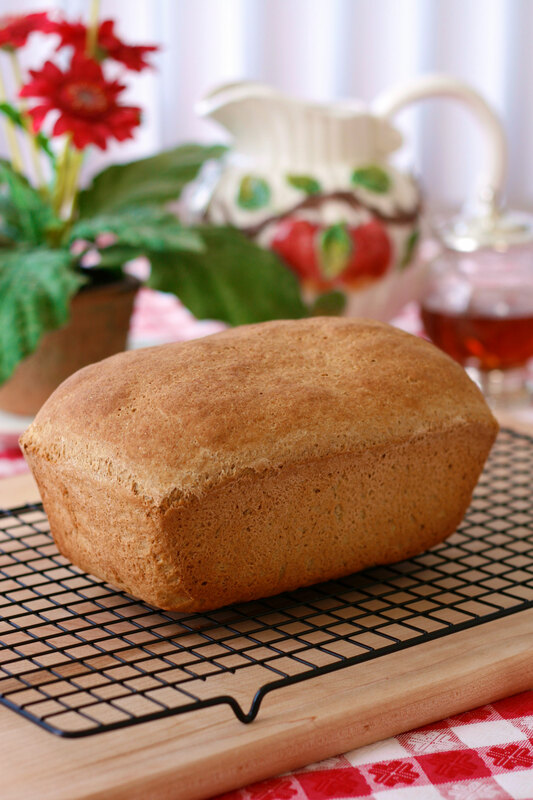 Brown rice flour and sorghum flours are both sweet flours giving the bread a very pleasant taste. 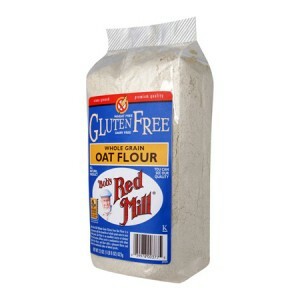 Other common nutritious gluten free flours include millet, oat, amaranth, teff, hemp, quinoa, fava bean and garbonzo bean flour. Some of them produce a darker loaf and some have a distinct flavor. 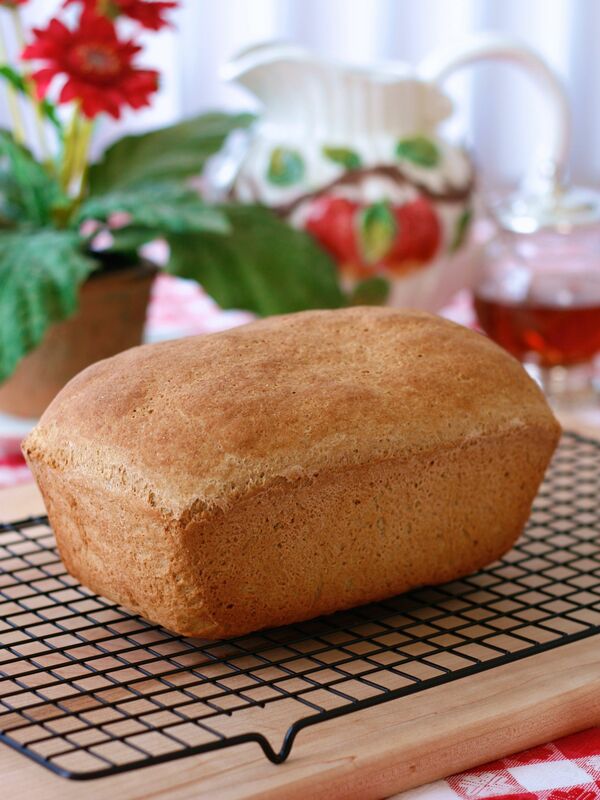 The darker and flavored flours work great for quick breads, like banana bread or apple muffins, but are not the ones to use when you want to make a light colored, plain sandwich bread. 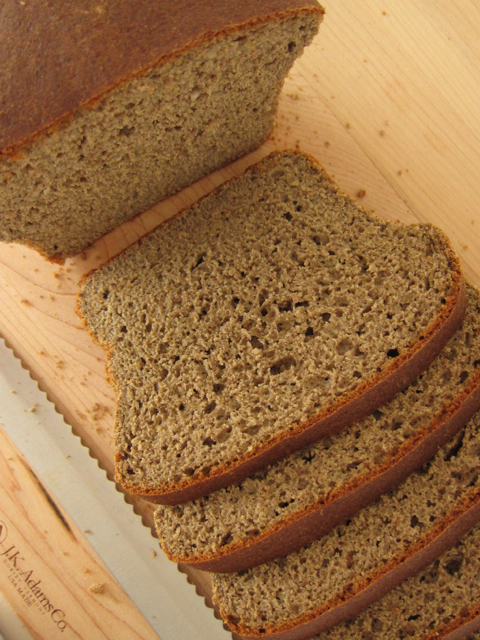 Brown rice, gluten free oat, sorghum and millet are best for plain sandwich bread. Buckwheat is unique. It makes a darker loaf and has a distinct taste but, like rye bread, it’s distinct taste has been very popular for a long time. Coconut flour is healthy and has a wonderful taste but it is a very thirsty flour requiring an unusual dry to liquid mixture ratio. Making the necessary adjustments to this recipe in order to use this flour could be like starting the recipe from scratch unless you have worked with coconut flour a lot and would know what to do. The following link is to the original recipe from America’s Test Kitchen. They used a metal bread pan with a foil collar, like you do for soufflés, to keep the bread rising up and not over the rim. This recipe done in a glass bread pan does not have this problem. But their recipe gave me the idea for a foil box is to create a warm environment and in place of the need for a damp cloth that is normally used in rising bread which will weigh the delicate dough down and can stick to the dough. You may want to use an oven thermometer to make sure your oven is calibrated accurately. Notes: The texture of this bread will change after a few days like other gluten free breads and because there aren’t any preservatives, it will begin to spoil. By the second day you will want to keep it in the refrigerator or freezer and toast it. You can also turn this bread into delicious crumbs that you can keep in there freezer for stuffings, making meatloaf and meatballs, vegetarian burgers, fish cakes and burgers, bread crusted and bread coated chicken and fish, and crumb toppings for casseroles. *For a no milk products recipe, leave the milk powder out and use 1 1/2 ounces more sorghum flour, and use avocado or light olive oil** instead of butter. Prepare a 1 1/2 quart (1.4 L) pyrex glass bread pan by greasing it with butter or oil and line the short sides of the ban and the bottom with a 3-4 inch strip of parchment paper lengthwise that extends above the rim of the short sides of the pan for easy lift out when removing the baked bread from the pan. To make the foil box, tear off a piece of foil 3 inches longer than the measurement of the outside of the pan. Fold the foil in half lengthwise. Once you have the dough ready in the pan, you’re going to wrap the foil around the pan folding the two seams together. 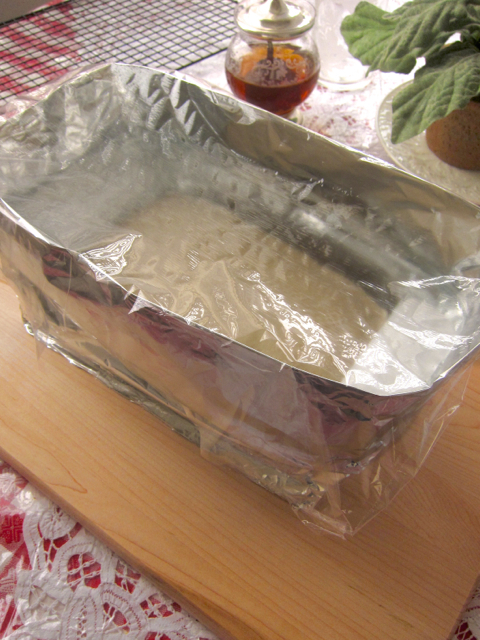 Then mold the foil to the outside of the pan to make it snug and keep it in place. The foil walls of the box will extend about 3 inches above the rim of the pan. The last step in creating the box will be to place a piece of sedan wrap loosely over the top. Melt the butter and honey together in a small pan. Set aside to cool. Place the 19.5 ounces of dry ingredients, the psyllium husks, salt and yeast in the bowl of a Kitchen Aid mixer (or other comparable standing mixture) with a paddle (not the whip). Blend the dry ingredients together for 1 minute on a low speed. Whisk the warm water, eggs, and cooled butter and honey in a 4 cup measuring cup or something that will pour without spilling. As the mixer is running, pour the wet ingredients into the dry ingredients. Turn the mixer up to a medium speed and beat for 5 minutes. The dough will be the consistency of a heavy cookie dough. Transfer the dough to the prepared pan. Use a knife to make the top even and then use wet fingers to make it smooth. Set up the walls to the box and lay the plastic wrap loosely over it and let the dough rise at room temperature until the highest part is 1/2″ above the rim of the pan, about a 40-50% rise (not double in bulk). This may only take 25 minutes depending on the temperature of the room. Have the oven rack in the middle and the oven preheated to 325 degrees. When the dough is ready, remove the plastic wrap and the foil box, give the top a spray of water and set the pan on the middle rack. Let the bread bake for 55 minutes giving the bread a turn half way through for even baking and browning. Remove the bread from the pan using the parchment paper to lift it out. If it doesn’t easily lift out, carefully run a thin knife or spatula around the edges to loosen them. Transfer the bread to a cookie rack and slip the paper out. Cool completely (at least 2 hours) before slicing. 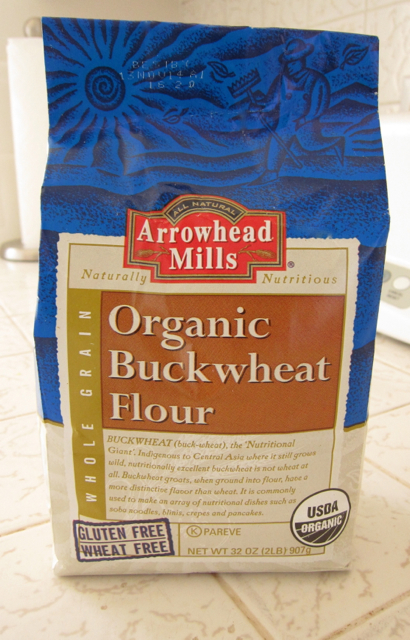 Buckwheat is not wheat and not a grain. It is a broadleaf plant and flour is made from its leaves and flowers. It’s unique medicinal properties are impressive. Buckwheat is used to improve blood flow by strengthening veins and small blood vessels and preventing hardening of the arteries. Rice, wheat and corn are high on the glycemic scale provoking quick spikes in blood sugar levels, a proven promoter of inflammation. Ranking low on the glycemic index, buckwheat may help manage diabetes and inflammation as it helps the body deal with blood sugar. Buckwheat is the best source of high-quality, easily digestible proteins and is an excellent meat substitute when eaten the same day as beans and cereal grains boosting their protein value at the same time. The specific characteristics of buckwheat proteins and the relative proportions of its amino acids make buckwheat may make it the unsurpassed cholesterol-lowering food. It’s being studied for possible use in foods to reduce body fat and cholesterol gallstones. It’s high in rutin which helps with high blood pressure. It’s good for digestion as it cleans and strengthens the intestines and improves appetite. This may seem like a strange place to talk about this subject but it’s here because this is a bread recipe and bread, even nutritious bread, is something most people should eat in moderation or they may gain weight or throw off their blood sugar balance. There isn’t any one diet that is right for everyone but finding the right balance of the proteins, fats, grains and sugar (carbohydrates) you consume is right for most people. It’s not difficult to understand what this balance is for your body once you start thinking about it and paying attention to how you feel. Just as the average American has been eating the wrong kinds of oils, eating three times the amount of omega-6 oils causing the omega-3 and 6 ratio to be out of balance, they are eating the wrong kinds of carbohydrates. We have gone down the wrong road in terms of taking care of our bodies in this country. Metabolic Syndrome is the name for a group of risk factors that indicate how a body’s metabolism is functioning showing that it’s probably headed towards coronary heart disease, diabetes and other health issues. The list of factors include a wide waistline (obesity), high blood pressure, as well as high serum triglyceride levels and low HDL (the good one) cholesterol levels. Some studies have shown the prevalence of this condition in the US to be 34% of the adult population, and studies are also showing that this condition is directly related to what a person is eating on a regular basis. The main culprit has been too many junk food carbohydrates made with white flour and sugar. But we can’t eliminate carbohydrates from our diets. Carbohydrates provide fiber and essential nutrients that our bodies need. Our diets need to include the right amount of the right kinds of carbohydrates – nutrient dense carbohydrates with fiber that will involve a slower metabolical processing of glucose resulting in a more stabilized blood sugar level – from fruits and vegetables and the proper amount of healthy grains. GI or the glycemic index of these foods show how the sugar in these foods will effect the body’s blood sugar level, causing the dangerous glucose spikes or metabolizing more slowly and maintaining an even blood sugar level. Food combining also plays an important role in how the body metabolizes glucose. Fats and fiber eaten with carbohydrates will slow down the process, keeping the bold sugar level even. Chocolate has fat and will slow the absorption of sugar into the blood stream. Eat nuts with your fruit. Put coconut oil, walnuts and rice bran in your banana muffins. Sugars causing spikes have been going straight to your fat cells. Insulin spikes turn off your body’s fat burning mechanisms and make you hungry again several hours late. As you make the new adjustment to your diet, eating the right carbohydrates the right way, something happens. Your body will flip a switch from the auto-pilot, starvation (store fat) mode it’s been in, to an auto-pilot burn fat mode. This message to the body is handled by a hormone called glucagon, which gets suppressed when too much insulin is being released to deal with carbohydrates that are causing spikes. When the message is received for your body to switches from storage to burning fat you will also notice that exercise which previously may not have been doing much will actually start working to burn up fat. Melt the butter and honey together in a small pan. Set aside to cool. Place the 19.5 ounces of dry ingredients, the psyllium husks, salt and yeast in the bowl of a Kitchen Aid mixer (or other comparable standing mixture) with a paddle (not the whip). Blend the dry ingredients together for 1 minute on a low speed. Whisk the warm water, eggs, and cooled butter and honey in a 4 cup measuring cup or something that will pour without spilling. As the mixer is running, pour the wet ingredients into the dry ingredients. Turn the mixer up to a medium speed and beat for 5 minutes. The dough will be the consistency of heavy cookie dough. Transfer the dough to the prepared pan. Use a knife to make the top even and then use wet fingers to make it smooth. Set up the walls to the box and lay the plastic wrap loosely over it and let the dough rise at room temperature until the highest part is 1/2″ above the rim of the pan, about a 40-50% rise (not double in bulk). This may only take 25 minutes depending on the temperature of the room. Have the oven rack in the middle and the oven preheated to 325 degrees. When the dough is ready, remove the plastic wrap and the foil box, give the top a spray of water and set the pan on the middle rack. Let the bread bake for 55 minutes giving the bread a turn half way through for even baking and browning. Remove the bread from the pan using the parchment paper to lift it out. If it doesn’t easily lift out, carefully run a thin knife or spatula around the edges to loosen them. Transfer the bread to a cookie rack and slip the paper out. Cool completely (at least 2 hours) before slicing. Buckwheat does not have the out of balance insulin-raising, fat-storing effects found in other flours because it is not wheat and not a grain. It is a broadleaf plant and flour is made from its leaves and flowers. It’s unique medicinal properties are impressive. Buckwheat is used to improve blood flow by strengthening veins and small blood vessels and preventing hardening of the arteries. Rice, wheat and corn are high on the glycemic scale provoking quick spikes in blood sugar levels, a proven promoter of inflammation. Ranking low on the glycemic index, buckwheat may help manage diabetes and inflammation as it helps the body deal with blood sugar. Buckwheat is the best source of high-quality, easily digestible proteins and is an excellent meat substitute when eaten the same day as beans and cereal grains boosting their protein value at the same time. The specific characteristics of buckwheat proteins and the relative proportions of its amino acids make buckwheat may make it the unsurpassed cholesterol-lowering food. It’s being studied for possible use in foods to reduce body fat and cholesterol gallstones. It’s high in rutin which helps with high blood pressure. It’s good for digestion as it cleans and strengthens the intestines and improves appetite. 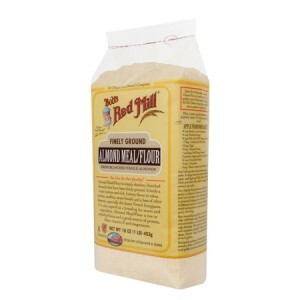 Bob’s Red Mill Almond Meal is ground from whole, blanched sweet almonds. Almonds are notoriously healthy nuts providing a good amount of manganese and vitamin E , as well as a healthy serving of monounsaturated fats in each 1/4 cup serving. Not only do almonds have a healthy boost of protein, they are also very low in carbohydrates and naturally gluten free. Almond meal is produced in our gluten free facility, making it an ideal addition to a gluten free diet. In addition to low carbohydrate baking, almond meal is wonderful for use in French macaroons and financiers, pie crusts, cakes, cookies, pancakes and quick breads. Almond meal can be used in savory applications, as well. Use almond meal in place of bread crumbs in meatballs, or as a coating for chicken and fish. Find recipes for using almond meal under the recipe tab below. Almond meal is best kept refrigerated or frozen. Bob’s Red Mill Natural Foods on a very fine setting to prevent the flour from tasting gritty-a common complaint about many brown rice flours. Sorghum originated in Africa thousands of years ago, and then spread through the Middle East and Asia via ancient trade routes, traveling to the Arabian Peninsula, India and China along the Silk Road. Today sorghum remains a staple food in India and Africa, and is growing in popularity in America. It’s the third most important cereal crop nationally and the fifth most important around the world. The whole grain kernel is ground into a flour that can be used for cooking and baking. fiber, making sorghum flour welcome in pantries around the world. Sorghum flour is high in antioxidants, which support cardiac health. In addition, the starch and protein in sorghum take longer than other similar products to digest. This slow digestion is particularly helpful for those with diabetes. Traditionally this flour has been used as a cereal food to create pancakes, porridges, beer and flatbreads throughout different cultures, such as jowar roti in India. In the United States it is becoming more common to use sorghum flour in baked goods. It can be added or substituted in any recipe that calls for flour such as cakes, cookies, breads and muffins. While some gluten free flours, such as rice flour, can add a gritty texture to cookies or bread, sorghum flour has a smoother texture that many people prefer. 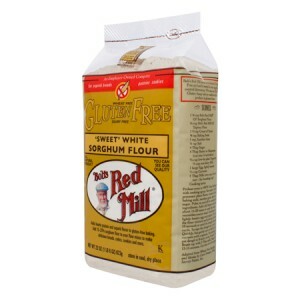 Due to its very mild taste, sorghum flour is a natural choice to incorporate into sweet breads, cookies, or the like. 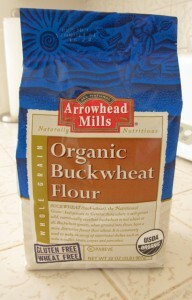 Add 15% to 20% sorghum flour to your flour mixes to make delicious breads, cakes, and cookies. 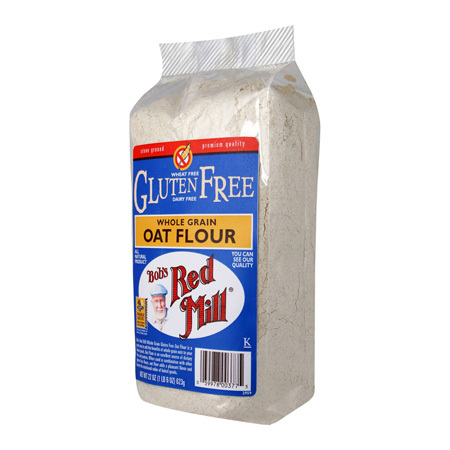 Our Gluten Free Oat Flour is milled from the purest gluten free oats grown by over 200 farmers on clean, dedicated oat-growing fields. 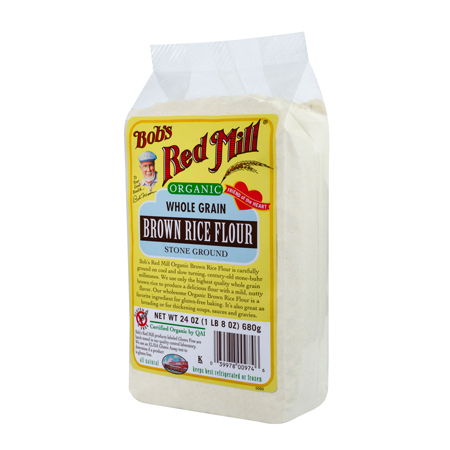 This whole grain flour is excellent for adding to gluten free baked goods to impart a true oat flavor and wholesome nutrition. The flour is milled and packaged in our 100% gluten free facility and tested for gluten to ensure purity. Which grain was first farmed nearly 10,000 years ago? Which grain was revered as one of five sacred crops in ancient China? Which grain is mentioned in the Old Testament, the writings of Herodotus, and the journals of Marco Polo? The answer is millet! 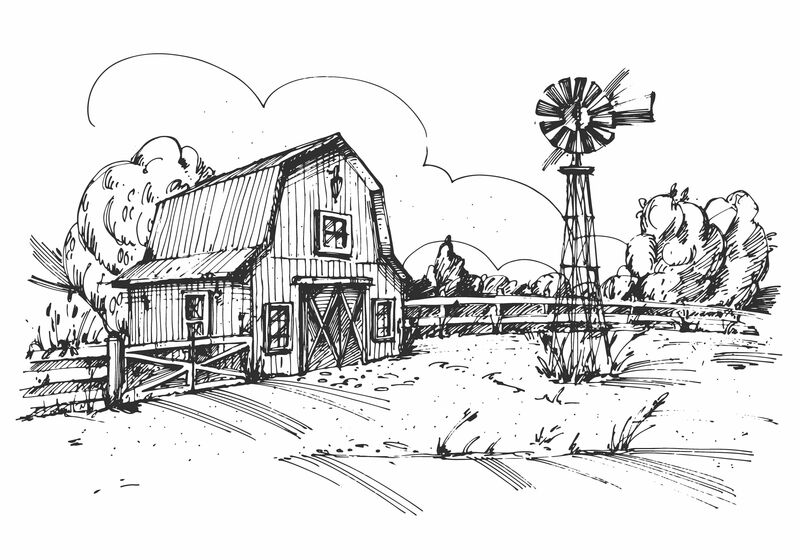 Bob’s Red Mill Whole Grain Millet Flour is nutritious, gluten free and 100% freshly ground on century-old stone-buhr millstones. Millet Flour is wonderfully nutritious and a good source of protein, essential amino acids and dietary fiber. Millet is also an excellent source of manganese, phosphorus and magnesium. Unlike most other grains, this versatile, gluten free grain is alkaline, which makes it easy to digest and helps balance the body’s natural tendency towards acidity. 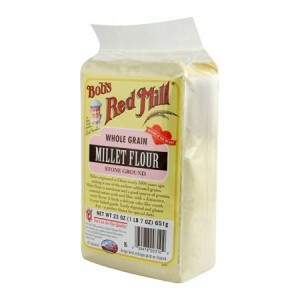 Our Millet flour has a light, mild flavor, making it perfect for sweet or savory baking. It lends a delicate cake-like crumb to your baked goods. 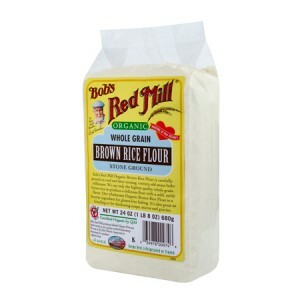 Replace up to 25% of the flour in your recipe with millet flour for added nutrition. In our opinion, millet flour is often overlooked in gluten free baking—it adds whole grain nutrition and has a mild flavor, not something you find often with gluten free flours.